Have the water filter shifted to the main System attempting to have the water filtered;however, put on hold as another idea popped out, think of testing on the new individual pumps set for the growbed. 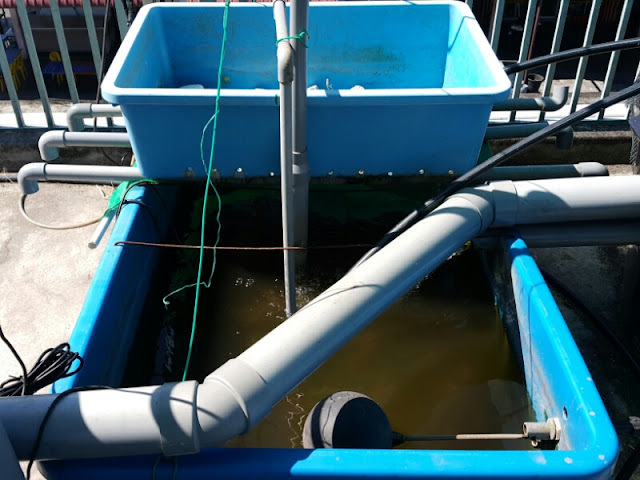 The purpose is to see how effective the growbeds in filtering the water. My guess will be the growbeds will get dirty and that might be the reason we should start planting more from now on. Aquaponics : Can we stop talking about Luffa? Aquaponics : What do we have in Growbed 5 and 6?